Have you ever wondered where you’ll end up after graduation? 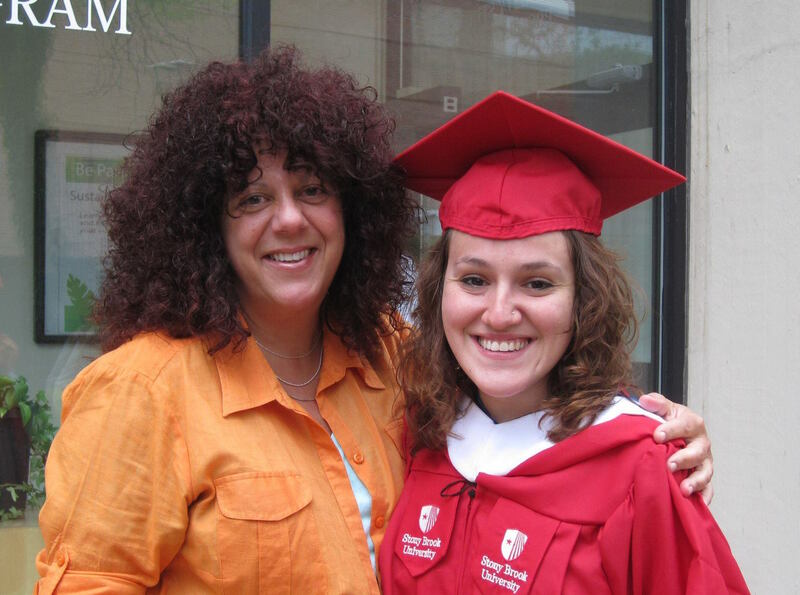 Sustainability Studies Program Environmental Humanities major Nia Padilla did just that as she donned her RED cap and gown during graduation in May 2013. But, before she received her diploma in the mail, Nia landed a seven-month job with the Student Conservation Association as an NYC Recovery community crew leader, a management position in which she helped supervise and execute crew operations cleaning up areas of New York City—and specifically her hometown of Staten Island—that were hit hard by 2012’s Superstorm Sandy. Nia reports that her most memorable moment as a Sustainability Studies Program student came when she had the opportunity to attend the 2012 Omega Institute for Holistic Studies Design by Nature Conference, at which she said she met some of her “sustainability heroes,” like Van Jones. She said that she is “thankful” for this and other “inspiring” opportunities she had in the program. Nia on SBU Graduation Day 2013, with Sustainability Studies Program Coordinator Ginny Clancy.